I was sad to hear of the passing of Barbara Mertz at the age of 85 on August 8th but only as sad as you can be about the death of a woman who has lived to a ripe old age and written more books than the world has the right to demand of any one author. I love her Amelia Peabody series (written under her most famous pseudonym, Elizabeth Peters) but have only just begun to sample her other books. 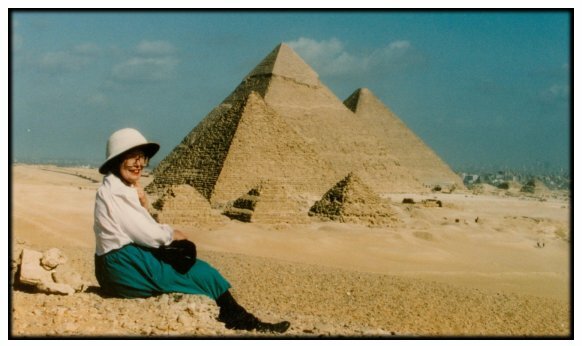 I have never read any of the gothic, supernatural novels that Mertz wrote as Barbara Michaels nor have I read the more scholarly non-fiction that Mertz, who earned a PhD in Egyptology, wrote under her own name. But for many years I have been an admirer of her most famous creation, that parasol-wielding terror of the desert, Amelia Peabody Emerson. I wasn’t an immediate fan; I remember starting Crocodile on the Sandbank, the first book in the 19 volume series, a few times in my early teens and giving up in frustration. Amelia, forceful and blunt, was not the kind of instantly sympathetic heroine I was accustomed to and it took a few more years until I could appreciate her unique charms. 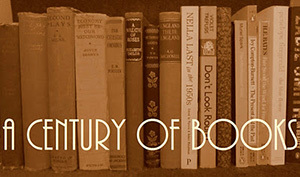 In the summer of 2005, I read all of the 17 books published at that point, one after the other. It was a bit mad but it was wonderful to be immersed for so long in Peters’ Egypt, tracking the changes in both the country and Amelia’s family over the almost forty-year period that the books cover. 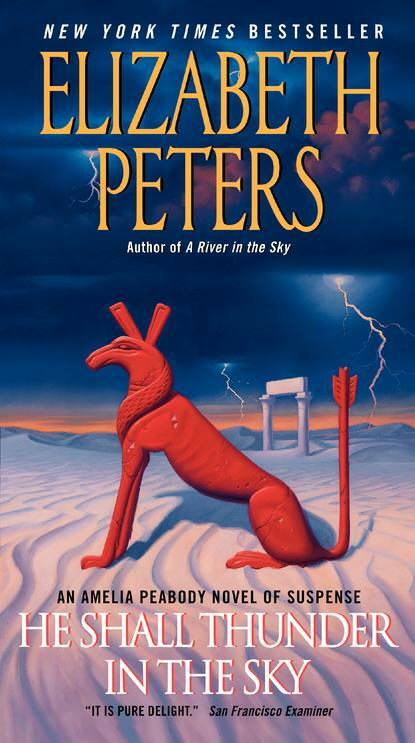 This summer, I reread two of my favourite books from the Amelia Peabody series while I was travelling in Europe: The Falcon at the Portal and He Shall Thunder in the Sky. These books are set between 1911 and 1915 and, as fans will know, their appeal has less to do with Amelia than with her dashing son Ramses. When younger, Ramses was one of those precocious children who are either delightful or infuriating depending on your mood. Grown up, Ramses is proper brooding action hero material, always engaged in dangerous covert activities. These books are just as swoon-y as I remember them being (which is to say very) though the bleak ending of The Falcon at the Portal has always made me happy that I discovered the books long after the rest of the series was available. How did fans endure the wait for He Shall Thunder in the Sky and the longed-for happy ending? Immediately after reading those two books, I had my first delightful encounter with one of Peters’ early stand-alone mysteries. Legend in Green Velvet was published in 1976 and though it is a little rough around the edges and more madcap than I’m usually prepared to tolerate, it was great fun. Susan, an American archaeology student obsessed with all things Scottish, finds herself in trouble almost as soon as she arrives in Scotland. After receiving a mysterious note from a man who is later found murdered, Susan becomes an object of interest to both the police and an odd group of people who seem to want her dead as well. In the company of Jamie Erskine, a handsome young Scot, Susan finds herself fleeing through the hills and hiding in the heather in a delightful send-up of all those novels that take an overly romantic view of Scotland and Scottish history. I could not stop giggling while I read this, which is always a good sign. Peters writes marvellous banter and Jamie is a fabulous non-alpha hero (another thing, I’m learning, Peters excelled at). But as much as I enjoyed Legend in Green Velvet, Devil May Care, released in 1977, was even better. It has equally well-written banter, an even better non-alpha hero, and the sort of easily explained away supernaturalism that even I can enjoy. When Ellie comes to housesit at her Aunt Kate’s large home in Virginia, she is looking forward to being left alone with the cats and the dogs and, to be honest, having a bit of a break from her boring fiancé. But when ghosts start appearing, all seemingly members of the town’s founding families, even the level-headed Ellie is a bit spooked. With the help of Donald, a handsome young neighbour, and a few of Aunt Kate’s other friends, Ellie begins to work out what is going on. It is wonderfully fun to read, especially the interactions between Ellie and Donald, and I can’t help but suspect that Peters, already an established author of suspense novels as Barbara Michaels, had great fun writing a satirical take on the genre. 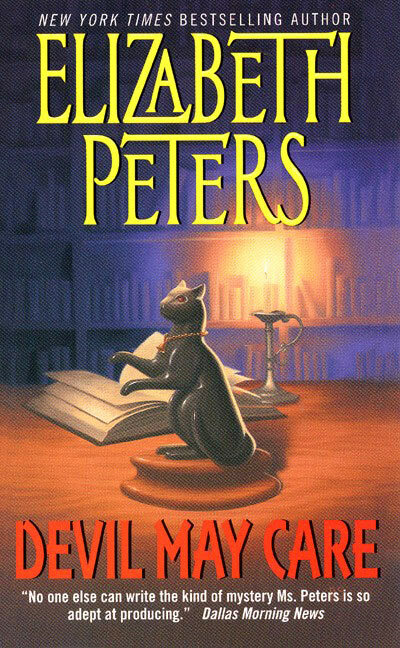 With so many of Peters’ books left to discover, I can only feel thankful that she was so prolific as well as so talented. She may be gone but I still have much of her legacy left to discover. A great tribute, Claire! I’ve loved finding so many readers (and Amelia fans). Devil May Care is one my favorites, I’ve always wanted to visit Aunt Kate’s house! I am not a fan of the younger lisping Ramses, but once he grew out of that – oh my. I tend to read the Amelia books in chunks myself, and I used to re-read a few in preparation when a new one was coming out – but I’ve never read the whole series in a row! So I’m not the only crazy lady! I read the first Amelia Peabody and had to read the rest IN A ROW. It also started me on Egyptology. Visits to the Met Museum in NY, Tut exhibit and many books. I have at least 50 books on Egypt, the pharaohs and Zahi Hawass. Check out Amelia Edwards,Lady Montagu, Freya Stark, Gertrude Bell and Rosemary Mahoney for female explorers of the Middle East and Egypt. I was so surprised and very very sad to see this news. Amelia Peabody is definitely one of my top five favorite literary characters. (And I agree that young Ramses was very annoying.) Maybe she will start coming to me in dreams, like Abdullah, whenever I need a Peabody fix. I have never read her other novels so thank you for recommending these two! Oh, I love Elizabeth Peters so much. 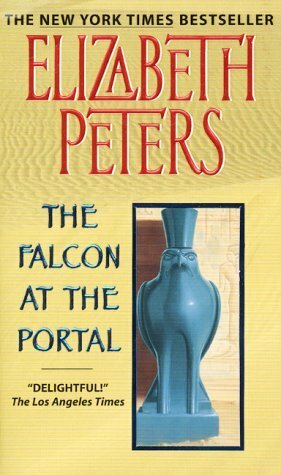 I’ve read most of her books as Elizabeth Peters, and probably most of the Barbara Michaels ones as well, but they’re wonderful on a reread too. She always makes me laugh, even in the books of hers that aren’t my favorites. I ‘m so sad to hear about her passing. 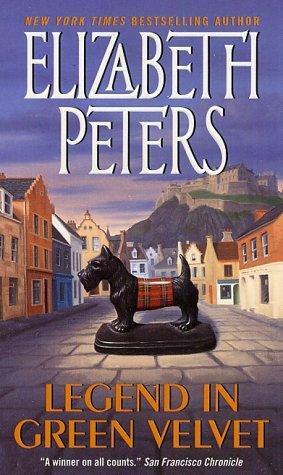 I’ve probably read most of her Barbara Michaels books over the years, but I didn’t get far with the Amelia Peabody series. Perhaps I should get them out again!